According to the Reserve Bank of India (RBI), personal loans increased 35.3% from to ₹ 5,065 crore in April 2018 from ₹ 3,737 crore in April 2017. Mumbai: More people are now taking personal loans in the country. According to the Reserve Bank of India (RBI), personal loans increased 35.3% from to ₹ 5,065 crore in April 2018 from ₹ 3,737 crore in April 2017. The surge in credit card outstanding rose 35.2% in April 2018 compared with last year. Meanwhile, loans for consumer durables and education declined during the same period. Experts say the accessibility and need for personal loans have gone up in the past few years. “People want to travel abroad. They don’t want to save money. Instead, they take a personal loan and go on a trip. They find it convenient to pay an EMI (equated monthly instalment),” said Sachin Parekh, CFP, Save N Protect Financial Planners, adding personal loans are easily available in the market particularly for a bankable customer. 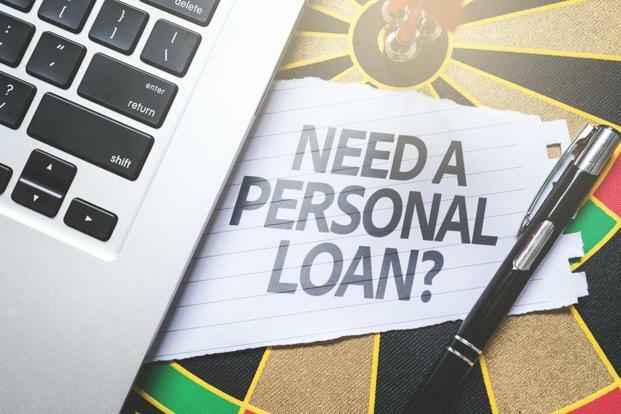 If you have a proven repayment track record with your bank and good credit history, you can easily get an instant personal loan. “With digitisation, banks have better access to customers. They know their credit and debit card history and account behaviour. That makes it easier for banks to give them unsecured retail loans,” said Pritesh Bumb, banking analyst at Prabhudas Lilladher Pvt. Ltd. Most of these unsecured retail loans are given to internal customers. “Some 60-70% of unsecured retail loans are extended to existing bank customers,” Bumb said. Currently, banks, non-banking finance companies (NBFCs) and fintech companies offer personal loans. The time taken to get the loan, interest rate, processing charges and tenure varies depending on the financial institution. For instance, Tata Capital offers a personal loan on an annual interest rate in the range of 10.99% to 19%. The processing fee starts at ₹ 999, plus the applicable rate of GST. The tenure of the loan varies from 12 to 72 months. Bajaj Finserv offers personal loan from 12.99% onwards, charges 2.25% processing fee of the loan amount plus a convenience fee. In case of HDFC Bank Ltd, interest rate on personal loan ranges from 15% to 20.99%. The bank charges a processing fee of 2.5% of the loan amount or a flat fee. It does not allow salaried individuals pre-payment in part or full before repayment of 12 EMIs. Although you don’t need to submit collateral to get a personal loan, you need to provide occupation proof. You can always give your salary slip as proof that you are a salaried employee. Besides, you will also be asked to furnish a valid identity document. If you have expenses coming up in the future, you should ideally save for it first and then spend. Lifestyle expenses can be met by monthly savings. Don’t opt for personal loans because it is instantly available. In case you still want to take a loan, evaluate based on interest rate, processing charges, foreclosure charges and other costs. Repay on time else it will have a negative impact on your credit score.